Protection for the whole family x 3! Bye Bye Bug doesn’t contain any harmful chemicals including DEET, Trans and Cyfluthrin, Picardin, Parabens, Mineral Oils or Synthetic fragrances. It is non greasy and is made with only natural & organic ingredients and smells lovely! Gentle yet effective. Safe, natural and no nasties! 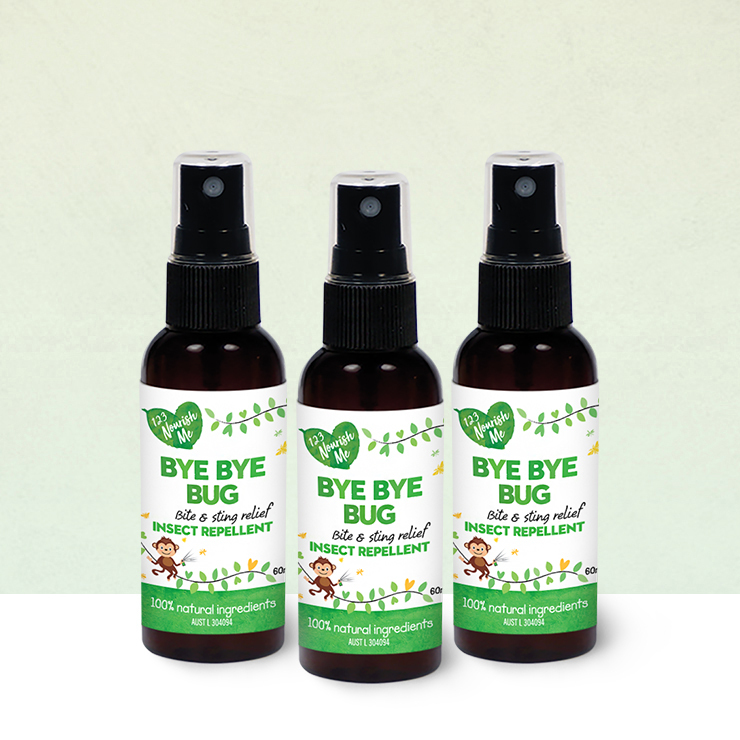 We only like to put things on our skin that we could eat and these bug sprays smell so delicious and the ingredients are all natural. We haven’t had a mozzie bite yet and my bub is usually a magnet for them!! Fantastic product. Use it all the time. Just bought 3 for Christmas presents for my family. This spray works really well and no nasties! Love it!! This is great. I have a child that gets eaten alive by insects. I have been looking for a “safe’ option for a while so I am so thankful to find this. Thank you again.